"The Man I Love" is a popular standard, with music by George Gershwin and lyrics by his brother Ira Gershwin. Originally part of the 1924 score for the Gershwin government satire Lady, Be Good as "The Girl I Love", the song was deleted from the show as well as from both the 1927 anti-war satire Strike Up the Band (where it first appeared as "The Man I Love") and 1928 Ziegfeld hit Rosalie after tryouts. It is the basis for the 1947 film The Man I Love starring Ida Lupino and Bruce Bennett and featured prominently throughout. Acclaimed jazz arranger Dave Wolpe applies his skills to these great standards. 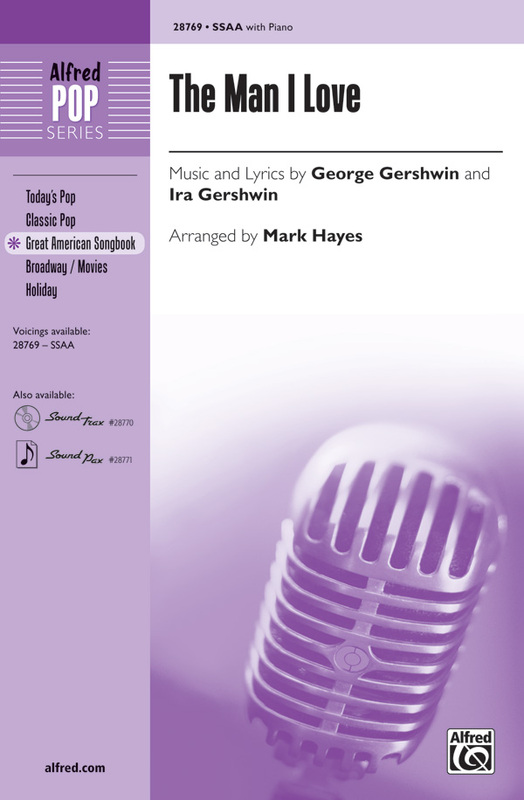 A great Gershwin song arranged exclusively for SSAA voices. It opens with the verse, which sets the stage for the unforgettable opening melody: "Someday heill come along, the man I love." Lush harmonies are the hallmark of this arrangement, which will showcase the best that your treble choirs have to offer. Stunningly beautiful.